Kratom, an herb used as a recreational drug and as medicine has grown to become more popular in today’s world. As a drug, the herbs are drunk or chewed just the way people take tea. It is done by most people to elevate their mood and increase their physical endurance. For medicinal purposes, the Drug is used to reduce anxiety, treat diarrhea, diabetes, high blood pressure, depression, pain, enhancement of sexual performance and to lessen the symptoms of opiate withdrawal among many others. According to further research conducted in February 2018, by the FDA. 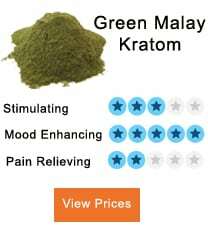 It is noted that no scientific proof shows that kratom is a medicinal drug. About this, the body advises that Kratom should not be used as an alternative to the prescription opioids. Even if it is using it to treat the withdrawal symptoms of opioids, for this case, the only approved prescription drugs for the treatment of withdrawal are naltrexone, methadone, and buprenorphine. These rules out the use of Kratoms for such situations. It has been reported on numerous occasions this year by the Centre for Disease Control and Prevention (CDC) the national outbreak of salmonella infections has been linked to the use of kratoms. It has been a very disastrous situation because some of the people have hospitalized for long periods because of this. Kratoms are a headache and migraine. 1 Kratoms are a headache and migraine. The Kratoms have an unusual action of producing both stimulant effects at lower doses and more CNS depressant side effects at higher doses. It makes this unique. The stimulating effects are noticeable on the users by talkativeness, boosted energy, increased alertness and becoming more social in general behavior. This effects though are unpredictable; you never know when then they occur. The addiction to Kratoms can cause all these; more so Confusion,hallucinations, and delusion. The over-dosing of the substance may lead to fast heart rate and low blood pressure. The long-term use may also lead to tremor, weight loss, and anorexia among other possible side effects. When Kratom is combined with modafinil, it may lead to a seizure. The constant use may also lead to a severe headache and migraine to the users. These cause a lot of pain to the users making it very dangerous for the users. 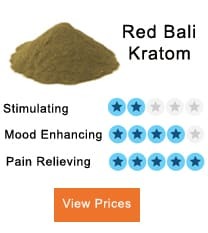 As we are all aware, Kratom is made of kratom leaves which are dried up and grounded into a powdery form that be easily ingested into the human body system. It can also be brewed in the form of tea and put in the form of capsules. There are three main types of kratoms; green vein, red vein and white veined kratoms. There are also different varieties that originate from the three kinds of Kratoms. The three types of Kratoms have distinct effects on the user. Some of them are proficient in providing energy and euphoria; some are used to create relief from anxiety, some are used to prevent diarrhea, to cause relaxation and to relieve pain. The effects of the Kratoms on individuals depends on the variety that is used and also the dosage used. The elements found in kratoms are known as alkaloids and have analgesic effects. The causes of a headache and migraine due to Kratoms can vary. In most cases, it does vary. 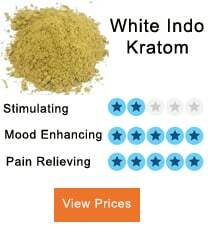 Some people develop a headache from varieties of Kratoms that are more stimulant. Some also experience facial headaches or sinus as a result. 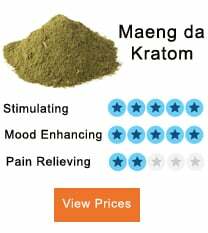 Others develop Kratom Migraine, the hangover-type of a headache. Here are the primary causes of Kratom headaches and migraines. These two varieties of Kratoms carry a very high risk of causing headache among its users. The two are best known for their ability to bring stimulating effects and also muscle tension in significant proportions. The type of a headache is usually called tension headache, and it seems that headaches are more likely to be caused exclusively by overdosing of Kratoms. The simple cure for this situation is to reduce the dosage of the intake. This is likely to lessen the warming effect and also reduce the muscle tension that is usually the cause of much of these headaches. These types of headaches can also be relieved by massaging the shoulder, neck, and base of the skull of the victim. Counter pain relievers can also be used shortly after taking Kratoms. For very many years researchers have been conducting researches to come up with the leading cause of Kratom migraines. Still, they have not been able to discover the reason. To know the cause of Kratom migraines has not discovered. It is only known from the basic scientific study of the body that changes in the chemistry of the body cause migraines. Those who experience kratom migraines are mostly the people who are predisposed to experiencing severe headaches. It is beneficial to try different types of Kratoms. This is because every variety is unique and hence altering the dosage can be more than beneficial to the user. Another cure for kratoms is simply consuming a lot of water. This should always be done after taking a dosage for it to be an effective cure. Most of the side effects which cause a lot of pain to the user are as a result f taking powerful and large dosages. The users are thus advised to take smaller dosages or to try new varieties of Kratoms that are likely to bring the same effects as the other ones. Lowering the dosage, in the long run, turns out to be the best solution. Kratom Drinks – How To Make Kratom Taste Better?